Jay Iyengar, SVP Chief Innovation & Technology Officer, Xylem Inc.
What does the research have to say about the link between diet, chronic disease, and the urgent environmental issues? What is the business case for implementing a plant-based workplace? How can companies apply a change model to engage employees in transforming the workplace food environment? 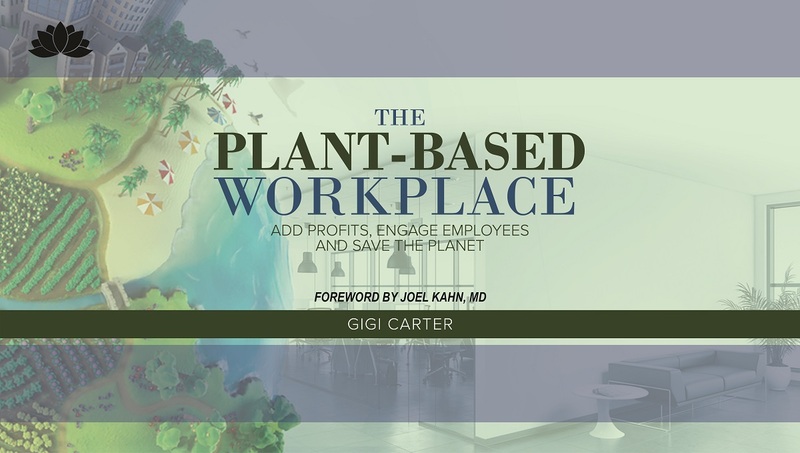 The Plant-Based Workplace challenges the reader to make it personal, showing how both company leaders and front-line employees can work together to transform not only the workplace food environment, but also the broader community the workplace supports. Readers will come away with accessible and accurate nutritional information, plus a practical set of implementation tools for engaging employees in the plant-based transformation, enabling companies to identify the most ethical and sustainable approach to augment their workforce’s productivity and profit potential.